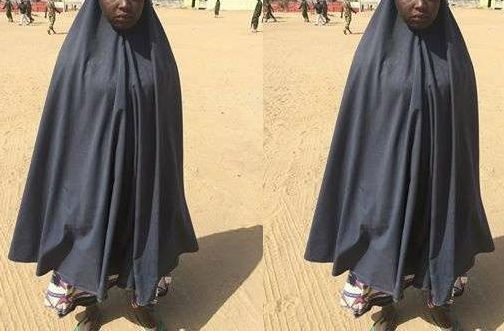 A teenager, Amina Yusuf, paraded by the military in Maiduguri has said she failed to detonate her explosive because she did not subscribe to Boko Haram ideology. The 17-year-old girl told newsmen in Maiduguri that she was abducted five years ago, alongside her parents, in Madagali, Adamawa State, after a terror attack on the village. The girl alleged that her parents were killed after they had refused to be indoctrinated. “My parents were executed because they did not join the group. I was married off to a Boko Haram militant with whom I lived in the camp,” she said. “One day I was asked to wear the bombs. I was brought to Maiduguri with an instruction that I detonate the bomb where there is large crowd of people”,the teenager added. She said that she declined to detonate the explosive because she did not want to die. “They said I should press the button but I refused and allowed security men to capture me alive. My four siblings are still with the terrorists in the camp,” said added.